We’ve assembled the most commonly asked questions for those new to group health insurance. Can’t find the answer to your question? Call us at (888) 584-9220 or email us at support@simplyinsured.com. Ready to get an instant quote and enroll in a great plan? Get started here. Group health insurance refers to a medical policy issued to a group (typically a business with W2 employees, although there are other kinds of groups that can get coverage) that covers all eligible employees and sometimes their dependents. Am I eligible for small group health insurance? The group does NOT consistent of only a husband and wife. You can start group insurance as long as you meet eligibility even if not all your employees need insurance. What is the advantage of group insurance versus individual insurance plans? Group insurance is pre-tax, which means you can offer this employee benefit and have it exempt from employer and employee taxes. This usually means a 30-40% tax benefit on the cost of insurance. See this article for more information. SimplyInsured will ensure you file all the proper forms to have group insurance premiums be tax-deductible. Individual insurance, by contrast, provides no tax benefits and must be paid for with post-tax money. I have an individual ACA plan. Can I cancel and move to group insurance? Yes, you can cancel individual insurance at any time and switch to a small business plan since small business insurance can start any month of the year. You are not required to wait until open enrollment to enroll on group insurance or leave your individual insurance. I found a plan I want. How do I apply for group insurance? Applying for group insurance is easy on SimplyInsured! Walk through the application steps on our website as directed. This should take about 10-15 minutes. Once you're finished with the application, we'll submit it to the insurance company. You should be approved within 7-14 business days. Is there any price difference between a spouse/child vs. employee? Pricing for medical insurance is only based on age and is not based on whether the person is an employee/dependent/spouse. For example, a 30 year old spouse on your plan would cost the same as a 30 year old employee. A 21 year old child would cost the same as a 21 year old employee. Can the owner of the company who is not on payroll enroll? Yes! 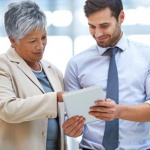 Owners of small businesses can enroll as long as the group is eligible, and the owners can provide documentation proving they are owners of the company. If it is a new company with no tax returns, the company's legal formation documentation showing the person as an owner would suffice. Do I have to offer my insurance to all employees? You do not have to offer insurance to all employees, but if you do decide to offer insurance, you must treat all employees of the same type the same way. 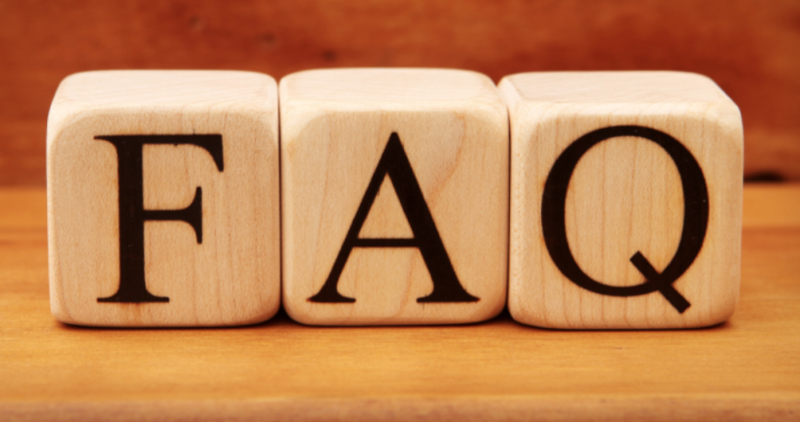 Example 1: If you have part-time hourly employees, you may choose not to offer the company's insurance to them and only offer the insurance to your full time employees. Example: 2: If you choose to offer insurance to your full time employees, you cannot exclude offering insurance to one of the full time employees for any reason. Can I get a discount if more people sign up? Every company gets charged the same rate for an employee of a specific age regardless of the company size or number of employees enrolled. How do I pay for group health insurance? Insurance premiums are billed on a monthly basis. Most insurance companies will use auto-debit/ACH for your monthly premium, but may require a physical check for the first month. If your employees are paying for part of the insurance, you will set up your payroll to deduct their share from paychecks. SimplyInsured works with every major payroll provider and can help make sure the proper deductions take place. What happens when an employee quits or leaves? If an employee leaves your company or wishes to leave the insurance for whatever reason, they can be removed at any time during the year, and you will no longer be charged for their insurance. SimplyInsured is an online insurance broker. We do not administer plans ourselves; rather, we collect price and coverage information from all carriers and provide quotes. You can use our website tools to find the right plans for you, and we'll help you enroll quickly. After you're enrolled, we continue to provide support. How do I get a quote on SimplyInsured? In the upper left hand corner of the quote page, there is a section that says "Get Precise Quote" where you'll put in the ages of your employees and optionally, their dependents by clicking "+Family"
As you put in the ages, all the plan pricing will automatically update. Since age is the only factor in small group insurance pricing for small businesses, these are exact quotes. The cost being shown is the TOTAL cost so you can choose to split that with the employees or pay for all of it as the employer. It's up to you. What's the difference between an HMO, PPO, EPO, and POS? HMOs tend to have the lowest monthly premium, but they require referrals to see specialists from a primary care physician (PCP). There is no out-of-network coverage on this type of network. With a PPO network, you can choose any doctor on their preferred list of providers, no referrals are needed. You can also use an out-of-network provider (ie., not on the preferred list), but you will have to pay more out of pocket. PPO networks are the broadest and most flexible, but will increase your monthly premium. With an EPO, you must pick from the providers on the list, or the insurance company will not pay. An EPO is like a PPO, but without out-of-network benefits. You do not need to choose a PCP or get referrals. A POS plan is like a HMO, but in some cases you can get out-of-network coverage like with a PPO. Typically you are required to get referrals, with some exceptions (eg., Humana). 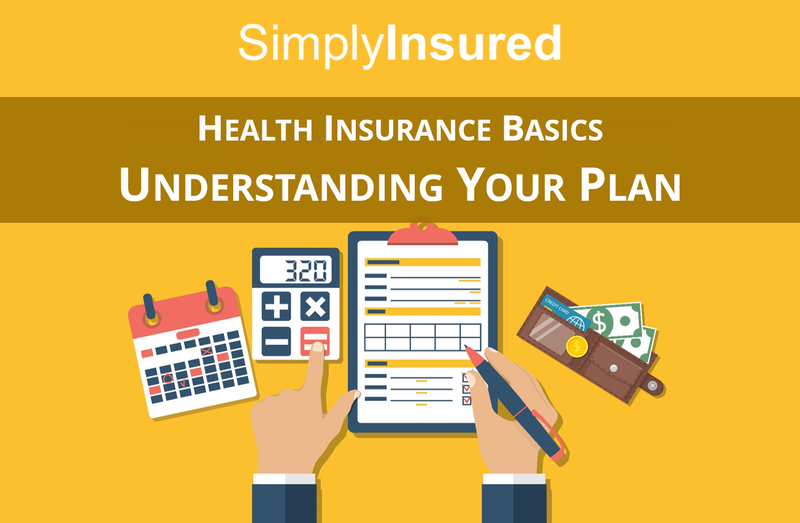 Do plans on SimplyInsured cover pre-existing conditions? Yes, all of our plans cover pre-existing conditions. Having a pre-existing condition does not affect your price or ability to sign up for a plan at all. When can the insurance start? You can start your group insurance on the first of any month. You do not have to wait for an open enrollment period in November. Can I offer multiple plans to my employees? 1. How many employees are signing up for coverage. 3. The state in which your business is located. Contact us at hello@simplyinsured.com and we can help you determine how many plans you may offer. Are these plans compatible with the Affordable Care Act (ACA)? Yes, all of our plans meet the requirements of the Affordable Care Act. Any employees enrolling on the plans on SimplyInsured would not face the individual penalties for being uninsured. What is the cost that is displayed on the quote page? The costs displayed on our quote page is the total monthly price that the insurance company would charge for all the employees and dependents you've entered for your company. As the employer, you can split that total cost with your employees in any way you want. Click "See Employee Costs" on any plan to see the full quote with all your employees' pricing broken down by each person. You will also be able to use the contribution calculator there to play with how much each employee would pay out of their paychecks for their insurance. Click "Enter Ages" in the top right of the quote page to change/edit the ages of the employees, spouses, and children being quoted. How much does it cost for a medical procedure on the plan? Estimated Costs gives you an estimated cost of common medical procedures based on how the plan covers those procedures. These estimates are based on national averages so it may differ in your area. Plan Details below Estimated Costs gives you the exact descriptions of how the plan covers different categories of medical services. Some services may be subject to the deductible or some may be on copay with deductible waived. You can hover over any of the terms to get a more detailed description of what they mean. Can I purchase dental and/or vision insurance? I've found a great plan for my business. How do I enroll? 1) Fill out the application on our website. You'll need to enter basic information about your company and employees, upload documents that connect employees to your company (e.g., wage report), and provide a payment method for the first month's premium. This process takes 20-30 minutes for most companies. 2) We'll review the application and submit it to the insurance company within 1-2 business days. 3) The insurance company will review the application. Most companies are approved within 7-14 business days. The tax credit available to you, based on your expected annual income, which lowers the monthly cost of health insurance premiums. You will be required to pay back any advance that is in excess of what you are eligible for when you file your taxes. If your advance was less than what you were eligible for, you will get the remainder as a credit when you file your taxes. This term centers on job-based health plans. To be deemed “affordable,” the plan must cost 9.69% or less of the employee’s total household income. 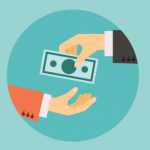 The amount a health plan, by contract, will pay for a covered service. Any cost above the allowed amount will be the responsibility of the insured. A yearly limit, or cap, decided by your insurance company, that will be paid for certain benefits covered under your health plan. Once the cap is met, you are responsible for all remaining costs for related covered services. The annual cap may be placed on the total dollar amount your insurance company will pay or on the number of visits your insurance company will cover for a particular service. A request you submit to your insurance company to review a decision to deny coverage or to adjust the amount paid for a covered expense. You always have the right to appeal a decision made by your health insurance company. Your policy will outline the steps you have to follow in order to file an appeal. Health care services that are covered under a health plan. Health plan benefits are outlined in the plan’s coverage documents. Patent-protected drugs that are sold under a specific patented name by a specific company. These drugs can be either prescription or sold over-the-counter. An individual or business who aids you in enrolling in a health insurance plan. A broker can make recommendations about what plan might be best for you. 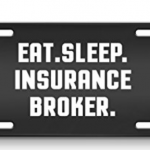 A broker must be licensed in the state in which the entity is seeking health coverage. The federal health insurance marketplace divides health plans into four metal levels. The bronze health plan is one of those levels. These plans offer the lowest monthly premiums in exchange for higher levels of self-insurance. These plans best serve individuals who generally have few health care needs. A type of health plan that has limited benefits. The plan only covers three primary care visits per year and nothing else before the plan’s deductible is met. This type of plan offers a lower monthly premium, but also requires higher out-of-pocket costs for deductibles, copayments and coinsurance. There are certain requirements that must be met to qualify for a Catastrophic Health Plan. You must either be under the age of 30 or get a hardship exemption as a result of being deemed unable to afford health insurance. A method of health care that reduces costs and can improve overall quality of life. It includes measures that prevent and minimize the impact of diseases. Some of these measures include screenings, routine check-ups, monitoring and patient education. The payment requests health care providers or pharmacies submit to insurance companies, based on services or drugs provided to insured individuals. Federally-mandated, temporary bridge health insurance coverage for individuals who lose coverage through termination of employment or as the dependent of a covered employee. This coverage is used to fill a gap in insurance coverage that may occur. COBRA is expensive, in that it requires covered individuals to pay 100% if the monthly premium. COBRA is an acronym for Consolidated Omnibus Budget Reconciliation Act. A method for determining the hierarchy of payment when more than one insurance company is responsible for paying for the same medical claim. The portion or percentage of a health care cost that you are responsible for once your deductible is met. Under your health plan, you are responsible for both your deductible and coinsurance. A set amount you pay for various services under a health plan. The amount typically varies depending on the service received and the individual plan. Some copayments are only offered after you have met your deductible while other copayments can be used outside of your deductible. Read the plan's details for more information. The share of costs covered by a health plan that you are responsible for paying out-of-pocket. Not included in this amount are the costs of non-covered services, costs for out-of-network providers, and premiums. The amount you are responsible for paying for covered services before the insurance company begins paying its portion. Insurance coverage that helps pay for the cost of dental visits. Services include routine services like cleaning, X-rays and fillings. Some health insurance plans include dental coverage, and there are also standalone dental coverage plans. A physical limitation that impacts the life of the disabled individual. A disability can impact any number of life functions, including but not limited to, cognitive ability, sensory ability, and mobility. An injury or illness that would cause a reasonable person to seek immediate medical care in order to prevent severe harm. Transportation via a vehicle or other mode of transportation provided by emergency medical services professionals. Services provided in the event of an emergency medical condition. The services are provided to prevent such conditions from worsening. The Affordable Care Act requires that insurers cover Essential Health Benefits, which includes of set of 10 categories of service. These services are: ambulatory patient services, emergency services, hospitalization, maternity and newborn care, mental health and substance use disorder services, prescription drugs, rehabilitative services and devices, laboratory services, preventative and wellness services, including chronic disease management, and pediatric services, including dental and vision care. A document provided by your health insurance company that contains details and information about your specific health coverage. Also known as a Health Insurance Marketplace, an Exchange is a set of tools and services that aids individuals in the process of searching for, comparing and enrolling in affordable health insurance. The exchanges also provide information about programs that help individuals of low to moderate income pay for health insurance. The exchange run by the federal government can be found at HealthCare.gov. You can also obtain assistance from the Health Insurance Marketplace by calling for assistance or soliciting in-person help. Based on the information you provide, the Health Insurance Marketplace lets you know which plans you can enroll in and what premium tax credit or subsidy amount you might qualify for. Many states also have health insurance marketplaces which they run separately from the federal government Marketplace. A type of health plan that covers medical services only when enrolled individuals seek treatment from providers or hospitals that are in the plan’s network, except in the case of emergencies. An account associated with an employer-sponsored health plan that allows individuals to contribute pre-tax funds to cover expenses associated with the cost of health care and other medical expenses. The contributed funds can be used to cover expenses like copayments, prescription drugs, and medical devices. This is not an exhaustive list. Individuals are free to choose the amount to contribute, and this amount is taken out of the individual’s paycheck before taxes are assessed. The health plan that an employer sponsors sets a limit to the amount that can be annually contributed to a flexible spending account. Funds contributed to the flexible spending account do not carry over and must be used within the calendar year they are contributed. An employee who works an average of 30 hours per week for 120 days per year is considered a full-time employee. Prescription drugs that are no longer patent-protected and are sold by drug manufacturers under a different name than the original brand name drug. These drugs have the same active ingredient formula as the brand name drug. A complaint an insured individual formally communicates with an insurer. The federal health insurance marketplace divides health plans into four metal levels. The gold health plan is one of those levels. These plans typically have higher monthly premiums, but the cost of care for the insured is less. These plans are generally more beneficial for individuals who need more medical care or for those who prefer to pay more on the front end. Through a contract or policy, health insurance is an agreement by an insurer to pay a portion of the policyholder’s medical expenses in exchange for the payment of a premium. The Health Insurance Marketplace is a set of tools and services that aids individuals in the process of searching for, comparing and enrolling in affordable health insurance. The Marketplace also provides information about programs that help individuals of low to moderate income pay for health insurance. The Marketplace run by the federal government can be found at HealthCare.gov. You can also obtain assistance from the Health Insurance Marketplace by calling for assistance or soliciting in-person help. Based on the information you provide, the Health Insurance Marketplace lets you know what plans you can enroll in and what premium tax credits you might qualify for. Many states also have marketplaces which they run separate from the federal government Marketplace. A type of health plan that covers care obtained through providers who contract with or work for the HMO. 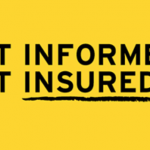 Out-of-network coverage is generally limited to emergency situations. The premise behind an HMO is to utilize a group of providers who work together for an integrative and preventative type of care. A savings accounts that allows you to contribute pre-tax money to cover qualified medical expenses. HSAs are only allowed in conjunction with a High Deductible Health Plan. Funds contributed to a HSA roll over year to year. 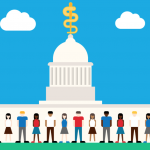 A type of employer-funded group health plan that reimburses employees tax-free, up to a set dollar amount per year, for qualified medical expenses. Any unused portion can be rolled over year to year. HRAs are designed to act as full health benefits solutions so that employers can pay all or some of the medical expenses of employees. A plan that requires you to pay a higher deductible than most traditional insurance plans. In exchange for the higher deductible, you often pay a lower monthly premium. The cost of care before the insurance begins paying its portion is generally more expensive than that associated with traditional health plans. A HDHP can be combined with Health Savings Account to help covered qualified medical expenses. According to the IRS, a HDHP is any plan where the deductible is at least $1,300 for an individual or $2,600 for a family. Total yearly out-of-pocket costs for a HDHP cannot exceed $6,550 for an individual or $13,100 for a family. Health care services that an individual receives at home as opposed to at the location of the provider. End of life medical services an individual receives. These services are designed to provide both care and support to the individual and family members. Services received in a hospital setting that do not require an overnight hospital stay. Care that requires that an individual be admitted as a patient in a hospital for inpatient care, and usually requires an overnight stay. The amount you are required to pay for covered services obtained through providers who contract with your health insurer. A health insurance policy a person qualifies for and enrolls in that is not associated with an employer-sponsored group plan. Care an individual receives while admitted in a hospital or other care facility. A cap on the total benefits an insurance company may provide. Once reached, the insurance plan is no longer required to pay for covered services. The cap could be a total lifetime dollar amount across all benefits, or it could also be total dollar amount on a specific benefit, like organ transplants, for example. Services provided for individuals who are unable to perform tasks of daily living. These tasks include dressing, bathing, and feeding, among others. Long-term care provides both medical and non-medical services. Long-term care can be provided in a number of different settings. These include at home, in a hospital, in an assisted living facility, or within a nursing home. Most health insurance plans do not provide long-term care as a benefit. A ratio that encourages insurers to provide value to its customers. The ratio is based on the percentage of premium payments that an insurer uses to pay for the cost of its customers’ medical claims. The Medical Loss Ratio assumes the remaining portion of premium payments are used for the overhead and other business expenses of the insurance company. These expenses might include administrative costs, marketing and salaries. Under the Affordable Care Act, different markets have varying minimum medical loss ratios. Medical treatment, services or supplies that are required in order to prevent, diagnose or treat an injury or illness. Medical necessity is the standard used by insurance carriers to justify coverage. Cosmetic procedures are not medically necessary and are typically not covered medical expenses by health insurance. A way for insurers to determine the insurability of your health. Gathering information in the medical underwriting process helps insurers determine whether they will offer you insurance, the cost of that coverage and what exclusions and limitations will apply to you. Under the Affordable Care Act, you are required to have Minimum Essential Coverage. Any health plan that meets this threshold is considered MEC. If you are not enrolled in MEC plan, you will face a penalty under the Affordable Care Act. A term that applies to employer-sponsored health plans. Health plans that are designed to pay at least 60% of the cost of medical services for a standard population and offer substantial coverage for physician and inpatient hospital services meet the minimum value threshold under the Affordable Care Act. If your employer offers such a plan and you decide to instead enroll in a plan on the Marketplace, you will not be eligible for a premium tax credit. Health insurers contract with various providers. A non-preferred provider is not contracted to provide services under your health plan. You will be required to pay more for services obtained through non-preferred providers. The informal moniker for the Affordable Care Act. The Affordable Care Act is the healthcare reform law enacted in 2010 by the federal government. It is designed to give all Americans access to affordable healthcare coverage. The only time period during the year in which you can enroll in a Obamacare health plan, unless you have a qualifying life event. Outside of the Open Enrollment Period, qualifying life events are a death, marriage, birth of a child or loss of a job. If you are purchasing small business group health insurance through a broker (not from the exchanges), you are not subject to the Open Enrollment Period. You can enroll in health insurance any time during the year. The amount you are required to pay for covered services obtained through providers who do not contract with your insurer. The costs you pay for medical services that are not reimbursed by your health insurer. These costs include coinsurance, copayments, deductibles and the cost of non-covered services. The maximum amount you have to pay for covered medical services within a given plan year. Once you hit this threshold for deductibles, coinsurance and copayments, your health plan pays 100% for covered services. Premium payments are not included in your out-of-pocket maximum/limit. The Affordable Care Act was enacted in stages. The initial stage of the health care reform law, enacted on March 23, 2010, was called the Patient Protection and Affordable Care Act. The law was subsequently amended on March 30, 2010 by the Health Care and Education Reconciliation Act. As a means of simplification, the final version of the law is typically referred to as the Affordable Care Act. It is designed to give all Americans access to affordable healthcare coverage. The 12-month period in which you are enrolled in a group health plan and receive coverage under the plan. Health coverage must be renewed annually. The plan year does not necessarily coincide with the calendar year. The federal health insurance marketplace divides health plans into four metal levels. The platinum health plan is one of those levels. These plans typically have the highest monthly premiums of any of the four levels of health plans. The tradeoff is that platinum health plans pay the most when you need medical care. A type of health plan in which you incur fewer costs for utilizing doctors, hospitals and other health care providers that are in the health plan’s network. This type of plan also requires a primary care physician referral for visits to specialists. Some health plans require that you obtain preauthorization before seeking certain covered services. While preauthorization is not a guarantee from a health insurer to pay its portion of the cost for a covered medical service, it is a finding that the given service, treatment, prescription drug or device is medically necessary. A provider who contracts with or works for your health insurance company. You can obtain services from preferred providers at a discounted rate. A type of health plan that has a provider network made up of preferred providers. These providers include doctors and hospitals. You can obtain services from preferred providers at a discounted rate, however seeking treatment outside of your preferred provider network is not prohibited. The amount you pay your insurer for health insurance coverage. Premiums are typically paid on a monthly basis. Coverage that pays a portion of the cost of prescription drugs. This coverage could be a part of your health insurance plan, or it could also be a standalone plan. Drugs that cannot be purchased over-the-counter and, by law, require that your doctor request that they be made available to you. This request is called a prescription. Health care services that are designed to prevent or catch health conditions and illnesses before those conditions become advanced. These services include routine doctor visits, screenings, and patient counseling. Care that centers on prevention, but also covers treatment for common illnesses that do not require a specialist. Primary care providers include doctors, nurses and nurse practitioners. A physician with whom you visit for primary care services. These services include preventive services and treatment for common medical conditions. You typically have a long-standing relationship with your primary care physician, and this physician is typically well-informed about your medical history. This physician not only provides services to you, but also coordinates services with other providers when necessary. A life event that grants you access to enroll in an Obamacare health plan on the health insurance exchange outside of the established Open Enrollment period. Such events include, termination of employment, marriage, the birth of a child, divorce, and death of a policyholder, amongst others. A health insurance exchange designed to help small business owners provide medical and dental insurance to employees. This exchange is either offered through the federal exchange or individual state exchanges. Eligibility requirements vary at the federal and state level. If requirements are met, employers might qualify for tax credits if they purchase health insurance through the SHOP Marketplace. The federal health insurance marketplace divides health plans into four metal levels. The silver health plan is one of those levels. These plans offer the lower monthly premium than Gold Health Plans, however the cost of copays and deductibles is higher. Silver Health Plans fall in the middle of the spectrum when it comes to costs, and are the most popular level selected. Services you received from licensed nurses in your home or in a skilled nursing facility. A period in which you can enroll in an Obamacare health plan on the health insurance exchange outside of the established Open Enrollment Period. In order to qualify for a Special Enrollment Period, you must experience a Qualifying Life Event (QLE). A short, easy-to-read and understand document which health insurers are required to provide. The SBC allows you to easily make comparisons between health plans. Insurance coverage that helps pay for the cost of vision care services. All health plans must provide vision coverage for children. If your health plan does not include vision coverage for adults, you can purchase a standalone plan. An essential benefit required under the Affordable Care Act. These visits are routine, preventive health visits that babies receive at dictated intervals until the age of two, and that children receive annually until the age of 21. Services include physical exam and measurements, vision and hearing screening, and oral health risk assessments. Programs, typically offered through a workplace, that are designed to improve health and fitness. In exchange for participation, employers often offer premium discounts, gym memberships, rewards and other incentives. Some insurance companies also offer such programs directly to enrollees. Programs might include weight loss programs, smoking cessation programs, and nutrition programs, amongst others.